If your skin stretches quickly, it may damage the dermal layer of the skin and this damage can cause visible scars. The chance that they will naturally fade away is unfortunately quite slim, and in any case would take a long time. Having a tattoo applied over the scar has the advantage of being visually expressive, allowing you to evoke a message or emotion, while at the same time covering up the stretch marks. Tattoos can transform what was once an embarrassing scar you wished to hide from the world to a striking piece of artistic expression that you can confidently show off. 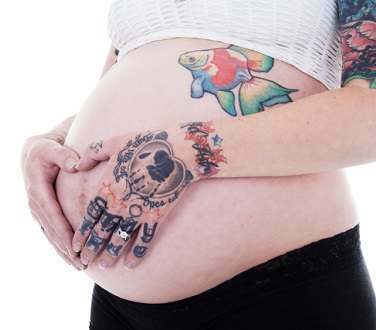 Tattoos provide a solution for what to do with your stretch marks, but you should be careful about deciding whether or not it is the right choice for you, and where to go for one. First, you should be aware that there is the risk of some problems that emerge from applying a tattoo to your scars. If you have quite a young stretch mark, for example one that is one or two years old, you might experience quite sharp pains from the tattoo. If your stretch marks have not fully formed and you apply a tattoo too early there is a risk that the image will become distorted as the scar grows. On the other hand, if your stretch marks are very large or deep you might find that much more ink is required to create a tattoo, which will need more time and money. Finally, the larger and deeper the scar is, the more difficult it is to create a neat-looking tattoo. Keep these points in mind when deciding whether or not getting a tattoo is right for you. Do not rush into getting a tattoo – sound advice whether you have stretch marks or not. You want to be as sure as possible that no complications will emerge from your new tattoo, and the main way to prevent these is to use an experienced tattoo artist. Visit a few tattoo artists, and if one sounds absolutely positive that they will make a perfect tattoo do not immediately agree to them working on you. Ask around, look at reviews, and most importantly find an artist that has worked with stretch mark tattoos successfully in the past. When you have decided on one, consult them about whether it is a good idea to have it applied to your particular scar tissue. It is important that you listen to their opinions; they are the ones with experience in working with different skin conditions, and they will be able to tell you about any potential complications that can emerge in the future. 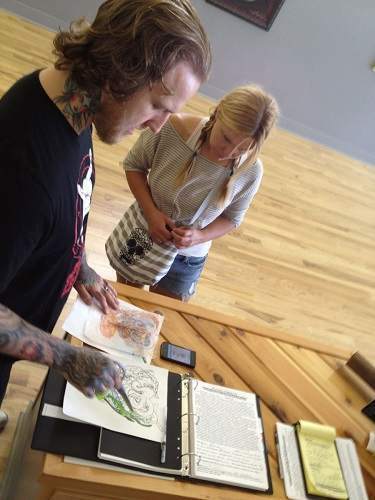 If you are satisfied with your tattoo artist, then go ahead and agree upon a design. We mentioned above that one risk of having a tattoo applied is that there can be complications if your stretch marks are not fully formed, resulting in a distorted tattoo. A similar problem occurs when there is the chance of new stretch marks forming, either through weight gain, a subsequent pregnancy, or another reason. Rather than having to worry about ruining your tattoo, or going through the bother of covering up new stretch marks, you can take a few precautions to prevent stretch marks forming. 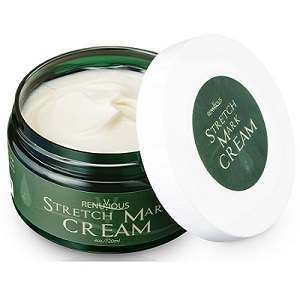 Stretch marks form when damage to the skin extends to the dermal layer and there is not enough elastin or collagen for the skin to regain its former shape. These two proteins allow the skin to “bounce back” and grow back into its natural smooth shape. You can ensure that you have enough of these micro-nutrients by drinking plenty of water, keeping to a healthy diet with plenty of vitamins and minerals, and following a healthy lifestyle. 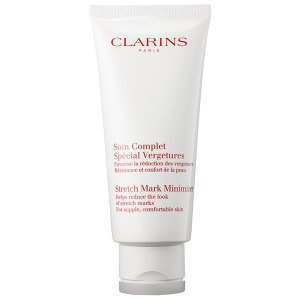 You can also use stretch mark prevention creams. These creams are specially designed to deliver these essential micro-nutrients directly to the dermal layer of your skin, where they can immediately go to work restoring its strength.